MUMBAI (Reuters) - Bollywood star Shah Rukh Khan says his upcoming film 'My Name is Khan', which pairs him with co-actor Kajol after an on-screen hiatus of eight years, does not have terrorism as its main theme and is mostly a love story. "This film is first and foremost a love story. In fact this is one of the nicest love stories I have ever participated in – and I have participated in some of the best love stories that have been made here," Khan told reporters on Wednesday night after the first look of the film was released. Directed by Karan Johar, 'My Name is Khan' tells the story of an autistic man Rizwan Khan (played by Shah Rukh Khan), who is caught in the aftermath of the September 11 militant attacks in the United States. Khan, co-actor Kajol and Johar are teaming up after more than eight years, in what has been billed as one of the biggest releases to come out of Bollywood in a while. The film is widely anticipated by fans of Khan and Kajol, whose great on-screen chemistry have helped deliver several hits in the past. Fox Star Studios has signed a deal to finance and distribute the film, which unconfirmed media reports have pegged at 21 million USD. However, both Johar and Fox have refused to confirm the figure, which, if true would be the highest ever for a Bollywood film. "This film will be a step towards Indian cinema reaching worldwide," Khan said. India, home to the world's most prolific movie industry, has long tried to draw wider audiences, including by forging ventures with Hollywood studios looking to offset sluggish box-office sales with new markets and cheaper production costs. 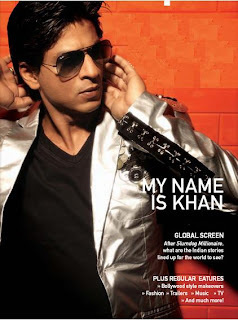 My Name is Khan releases worldwide on February 12, 2010. My Name Is Khan (Hindi: माई नेम इज़ ख़ान) is an upcoming 2010 Bollywood film starring Shahrukh Khan and Kajol. 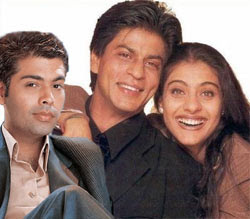 It is directed by Karan Johar, with a screenplay by Shibani Bathija, and produced by Hiroo Yash Johar and Gauri Khan. It is overseen by both Dharma Productions and Red Chillies Entertainment and will be distributed by FOX Star Entertainment. Cinematography is by Ravi K. Chandran, Shankar-Ehsaan-Loy composed the film's score, choreography is by Farah Khan, and lyrics were written by Niranjan Iyengar. Visual Effects are by Red Chillies VFX. The film is slated for global release in theaters on 12 February 2010. Dog or Human ? 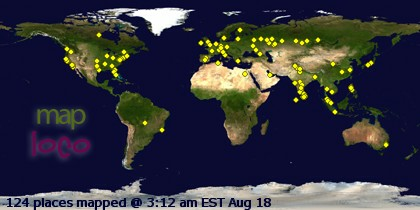 What a Fun ?